In a press conference, members of the committee said they hadn’t found evidence of widespread abuse of court-imposed costs in Kansas. But Chief Justice Lawton Nuss of the state Supreme Court said he wants to prevent abuses seen in other states. Erik Sartorius, executive director of the League of Kansas Municipalities, said appearing in court, even for minor charges, can be extremely stressful for many people. “We want them to feel that not only they experienced, but they also witnessed equal justice under the law, and also consistency in the application of the law,” he said. Courts impose bail and bond payments to prevent people from skipping future court dates after they are arrested and charged with a crime. Failure to pay bail or post bond can land a person in jail, sometimes for weeks or months, until their court date arrives. The committee report recommends alternatives to cash bail and bond for people without the means to pay for their release, arguing that keeping poor people in jail could be interpreted as discriminatory and a violation of the 14th Amendment’s equal protection clause. One suggestion is releasing people on “personal recognizance,” essentially forcing them to promise to return for a future court date. Other alternatives include individually assessing each person’s flight risk following arrest to determine whether they should be required to post bond, and allowing them to sign a poverty affidavit swearing that they can’t afford the payment. The committee reviewed survey results from 172 of Kansas’s nearly 400 municipal courts, and found that many of them have already implemented these policies. The report includes a recommendation to teach city and court employees about bail reform and fee and fine reduction measures. 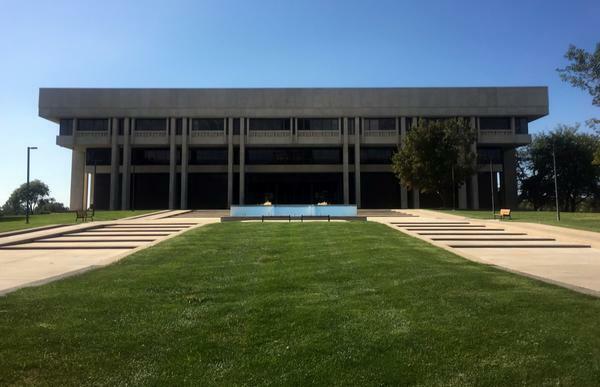 Sartorius said the League of Kansas Municipalities will help the Kansas Office of Judicial Administration train those employees, including through the state’s annual professional conferences for court clerks and judges.